We all know how important it is to keep new piano students engaged and motivated. So how do you keep lessons fun and rewarding for beginners? Experienced teachers know that moving forward at the right pace and introducing a variety of pieces are two important ways to keep beginners coming back for more. Adding some beginner duets to the mix is one easy way to add variety to a beginner’s experience. While the music may not be much more difficult than their other pieces, piano duets add the challenge of coordinating with another player. With four beginner hands playing instead of two, they also showcase a fuller piano sound than new players are used to producing on their own. 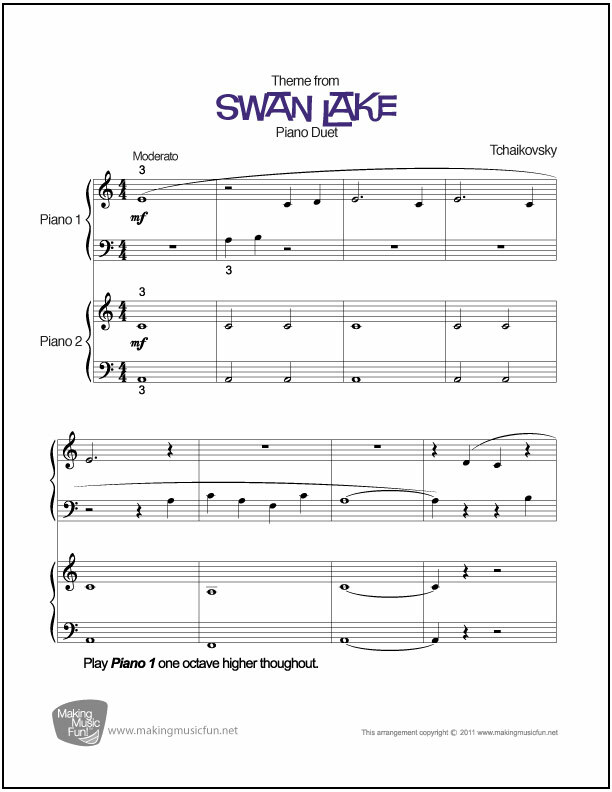 Below are three familiar tunes arranged as beginner piano duet sheet music. Each one has a different mood and tempo, so you can download all three to keep your beginning players challenged and interested. 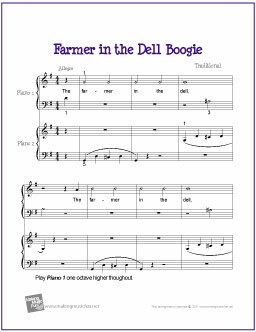 Each one is a printable digital download, so you can begin incorporating duets at your beginner’s next lesson. If you want to add a twist to your beginners’ lessons, adding an easy duet is one great option. Whether you play the other hand, schedule overlapping lesson times with another beginner, or enlist a parent or sibling to joint the fun, beginners will love the experience of sharing the piano bench and being part of a bigger piece of music.